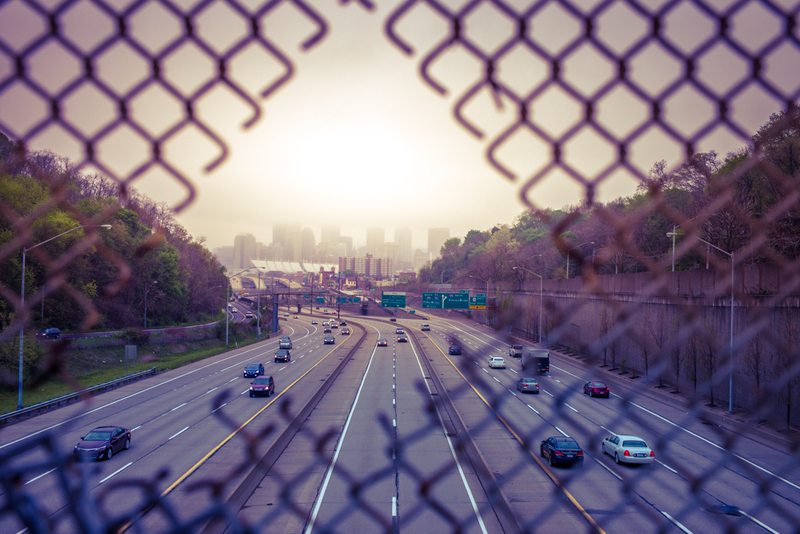 This shot was taken from a popular walking bridge over the highway into Pittsburgh. The spot is so popular with photographers that there are a couple of cutouts in the fence that protects drivers from debris being tossed from the walkway just so cameras can have an unobstructed view of the city. * Though I don’t agree with the photographers who cut the fence I will use its outline as a frame to strengthen my composition. *Obviously the spots were cut by amateurs for two reasons: First, professional photographers know better than to destroy property just to get a shot. Second, professionals know they can simply open their aperture to make the fence seemingly disappear. Don’t destroy property!